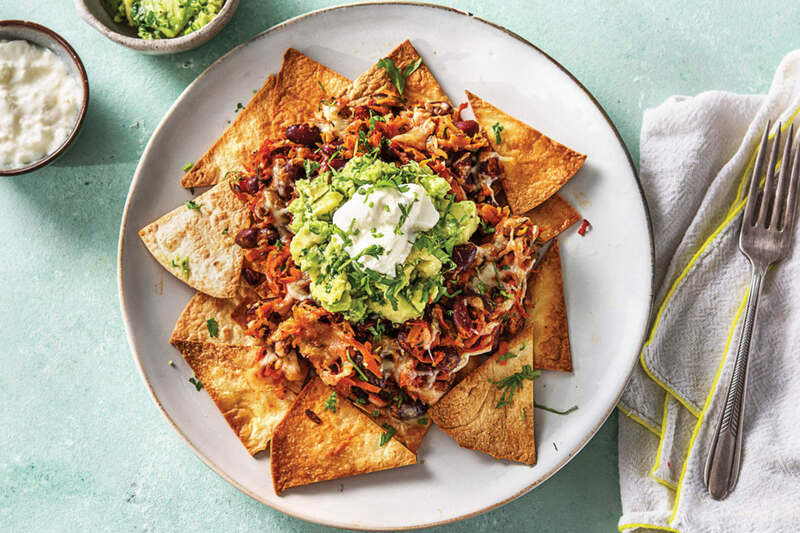 The Speedy Gonzalez of weeknight dinners, this simple nacho dish is the greatest hits of delicious Mexican ingredients. 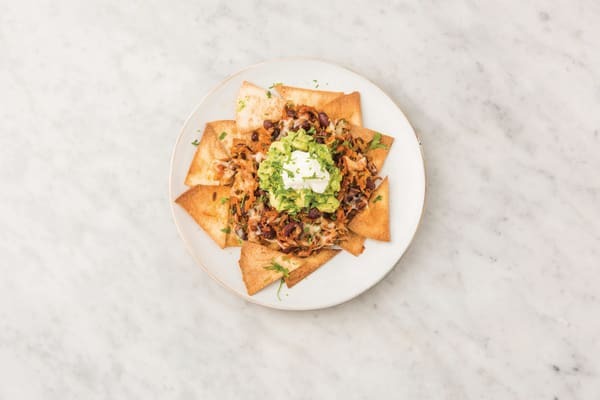 From gooey cheese to homemade tortilla chips, tasty beans to good old avo, we dare you not to love it. Preheat the oven to 200°C/180°C fan-forced. Slice the mini flour tortillas into 3 cm wedges. Drain and rinse the red kidney beans. Grate the carrot (unpeeled). Grate the zucchini. 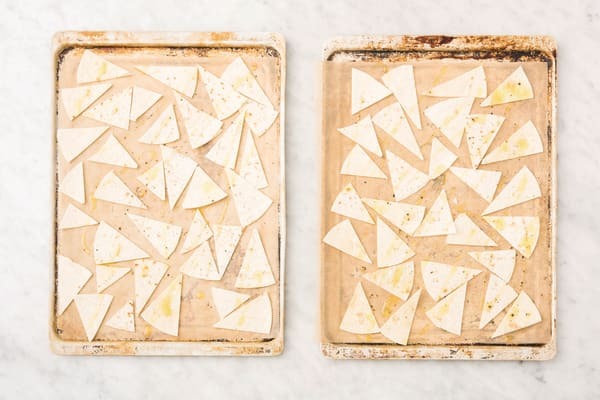 Arrange the tortilla wedges in a even layer over the oven tray lined with baking paper. TIP: Spread them over two trays if you need more space! Drizzle with olive oil, season with a pinch of salt and pepper and toss to coat. Transfer to the oven to bake for 5 minutes, or until golden. While the tortillas are baking, heat a drizzle of olive oil in a medium frying pan over a medium-high heat. 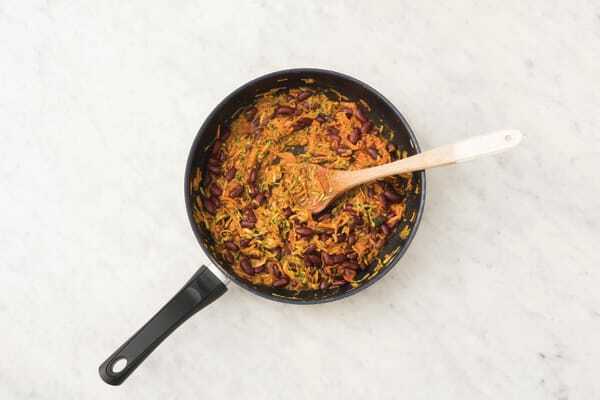 Add the kidney beans, carrot, zucchini and Mexican Fiesta spice blend and cook, stirring, for 2-3 minutes or until softened. Stir through the tomato paste and warm water (see ingredients list). Simmer for 1-2 minutes, or until the sauce has thickened. TIP: Add a dash of water if the beans seem dry. Mash the kidney beans slightly with a fork. 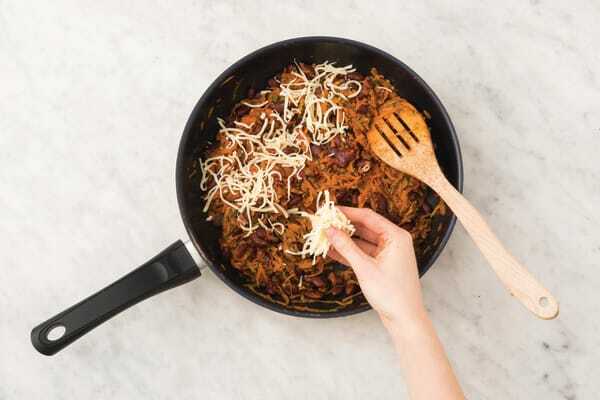 Sprinkle the shredded Cheddar cheese over the bean mixture, cover with a lid or foil and cook for 2-3 minutes, or until the cheese has melted. While the beans are cooking, finely chop the coriander leaves. 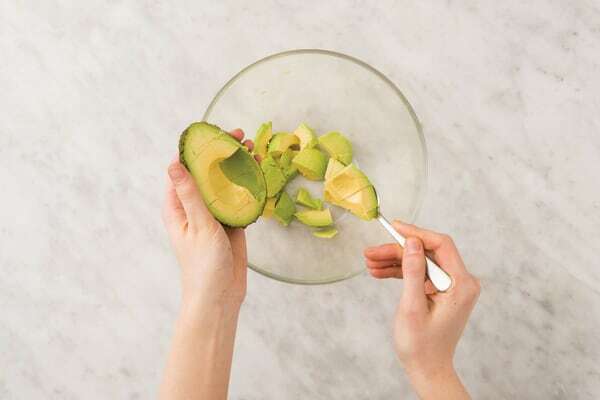 Using a spoon, scoop the avocado flesh out of the skin into a medium bowl. Add 1/2 the coriander to the avocado and mash with a fork. Season to taste with salt and pepper. Divide the tortilla chips and beans between plates and top with Greek yoghurt and the guac. Garnish with the remaining coriander.